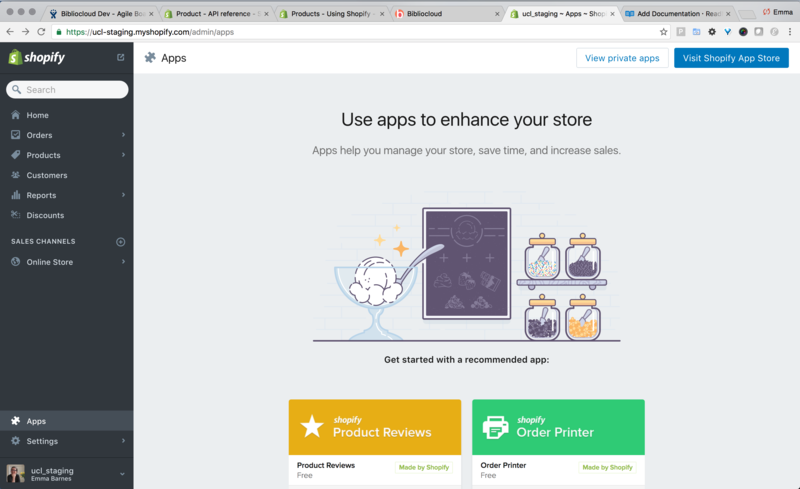 Developer instructions for authenticating to your Shopify store. This article covers the set up of a Shopify store connection in Consonance, not the operation of sending data to an existing shop. Read about that here. Sign up for a Shopify account and create a new store. We have a Partner account, and we sign in to that account to create a development store . In the newly-created development store, go to Apps and click View private apps, top right. 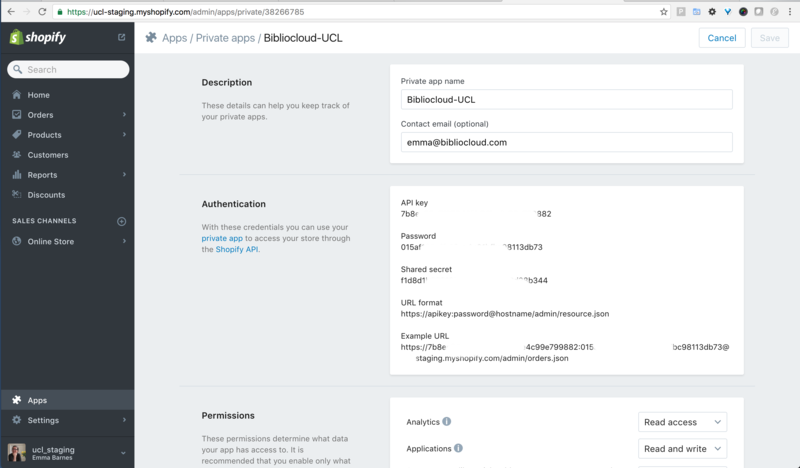 On the page that loads, click Generate API credentials. Fill in the form, choosing a relevant name. As a minimum, this app will need to read and write the following. The page that loads gives you the API keys. Sign in to your account at https://web.consonance.app/. Go to Data exchange > Websites ⤴. Click the Add button. Add your Shopify keys and shopname to the page that loads. Shopname This should be the name of your Shopify store as it appears in their URL. Note the hyphen – it’s not an underscore. 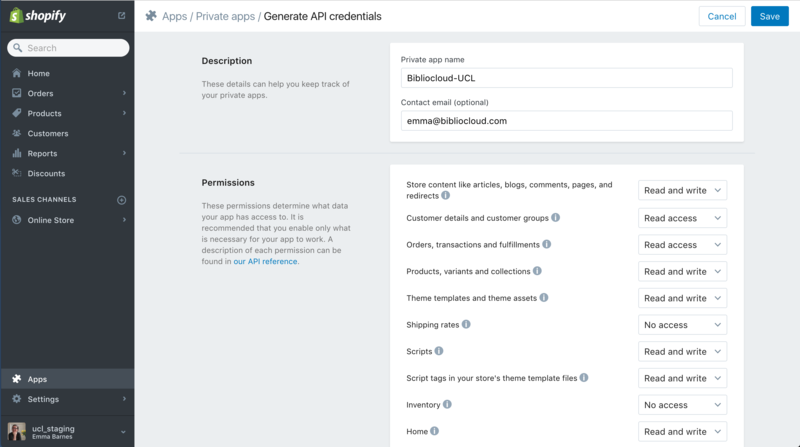 Consonance uses the shopname, as well as the API key and password, to connect to Shopify. Click Save, and your new shop is set up in Consonance with credentials that allow Consonance to push data to it.